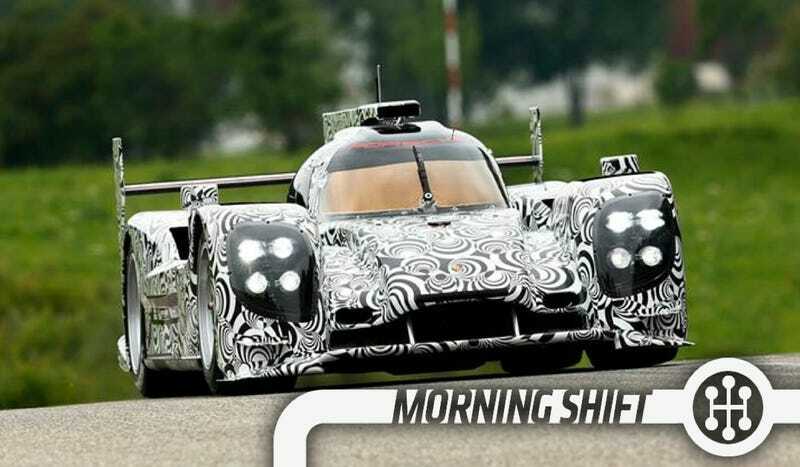 Porsche Is Back At Le Mans, Cadillac Rocks, And Did BMW Discriminate? Porsche has a legacy unlike any other manufacturer at Le Mans. The legendary German manufacturer has won the world's greatest endurance race an unbelievable 16 times. But they haven't won overall since 1998. Since that time, now corporate stablemate Audi has won 11 of the last 13 races. Audi has faced competition from Peugeot and Toyota in recent years, but the 2014 Porsche should be its closest competitor yet. Details on the powertrain are still scarce, but expect the new LMP1 car to have a hybrid system like the flywheel based KERS that is found on the 918 RSR Concept and the 911 GT3 R Hybrid. As for the design of the car, well, do you think the headlights are large enough? Also, it looks like the car has a bit of an Aston Martin influence in that front grille. I'm going to say it now: This is the car that will win Le Mans in 2014. If anyone knows how to get it done, it's Porsche. The US Equal Employment Opportunity Commission has filed suit against BMW for alleged discrimination against African Americans resulting from a background check policy. Reportedly, in 2008 BMW switched contractors at its plant in Spartanburg, South Carolina and had all employees reapply with the new company. The EEOC says the new company was instructed to conduct new background checks and to not rehire anyone that had a criminal background, no matter the crime. As a result, 88 employees weren't hired, 70 of whom were African American. The EEOC says that this policy directly discriminated against African Americans. BMW says that it believes it complied with the law and will be defending itself against the EEOC's allegations. Texting and driving is bad. It takes your eyes off the road and is seriously distracting. So how about using a voice-to-text app? Nope. The AAA says that's bad too. A two year study has concluded that voice-to-text apps are nearly as distracting as talking on a handheld cell, which has been banned in a number of states because of how dangerous it can be. Cadillac hasn't started a year this strong since 1976. Think about that. Sales are up compared to last year by 38 percent thanks to the SRX, lovely little ATS as well as the yacht-like XTS. They expect that growth to continue into 2014, as the new CTS will debut at the end of 2013, a new Escalade will come out next year, and an ATS Coupe will also join the lineup next year. Projections put Cadillac's full year growth at 30 percent, which would be excellent. VW's growth has fallen slightly off recently, enough to make the 2018 goal of becoming the largest automaker in the world seem like it might not happen. So they've found a way to fund their own growth. They recently sold off $1.6 billion in debt convertible in order to expand plants and take over truck maker Man. They are using it as a rather expensive way to raise capital to continue expansion to hopefully overtake GM and Toyota by 2018. Good luck with all of that. What do you think about the alleged discrimination committed at BMW? Are they in the wrong or is this just normal business?